We are a licensed Pawn shop, and will loan you cash for gold, silver, coins, jewellery, watches, and more. 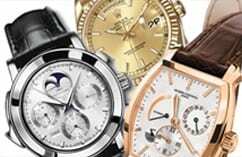 We Buy Gold, silver, platinum, diamonds, coins, jewellery, antique jewellery, luxury watches, gold dental fillings, silver dental fillings, Hermes handbags, Quality Watches, Rolex, and Cartier. We serve all GTA from our Yonge and Eglinton store front, including: Toronto, Scarborough, Markham, North York, Vaughan, Woodbridge, Ajax, Pickering, Whitby, Oshawa, Etobicoke, Mississauga, Milton, Oakville, Burlington, Hamilton, Halton Hills, Thornhill, Maple, Richmond Hill, and New Market.